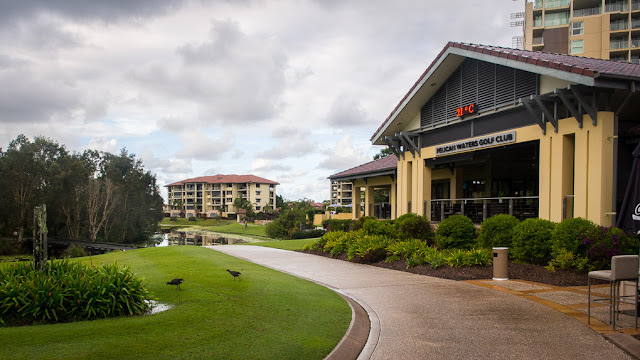 Here I am, technically trespassing on the Pelican Waters Golf Club land, feeling all cold and wintery and quite miserable in the drizzle, when I come across the clubhouse and its illuminated thermometer reminding me that it's a wretched twenty-one degrees C.
That is not winter weather! The shine on the pathway is delightful round the green. Attractive view.